Well it seems that the galaxy far, far, away has landed some more incredibly promising performers. Gwendoline Christie, currently Brienne of Tarth on HBO’s Game of Thrones, has been cast as an undisclosed character. 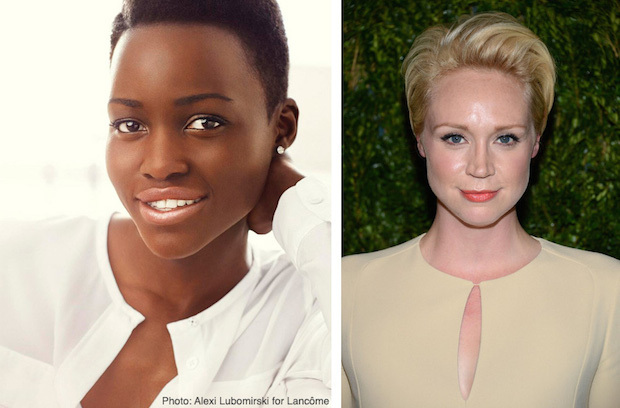 Lupita Nyong’o, Oscar winner for her role as Patsey in 12 Years a Slave, has joined the cast too. Christie and Nyong’o join the already star-studded cast including Harrison Ford, Mark Hammill, Carrie Fisher, Oscar Isaac, Adam Driver, John Boyega, Domnhall Gleeson, Andy Serkis, Max von Sydow, Anthony Daniels, Peter Mayhew, and Kenny Baker. Christie can be next seen in The Hunger Games: Mockingjay-Part 2 while it seems that Nyong’o’s next film will be this one. Maybe she has a much bigger role than Christie–we shall see in December of 2015! Star Wars: Episode VII releases December 18, 2015 under the direction of J.J. Abrams with music by John Williams. What do you all think of this news?